The Cathedral of Braga is one of the city’s cultural highlights and a must-visit destination on your trip to Braga, Portugal. The Cathedral of Braga dates back to the 11th Century and it is now the oldest-surviving church in Portugal, fully befitting of the country’s third-largest and oldest city. The cathedral was commissioned by Count Henry of Burgundy and was built on the site of an old Romanesque building, a former Moorish mosque. Henry and his wife, Teresa, were to become the parents of the first king of Portugal, Afonso Henriques, and the tombs of this important couple are found within the cathedral walls. 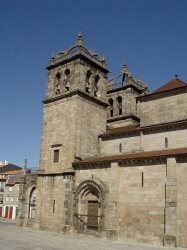 The cathedral is presented behind a grand Romanesque façade, topped by two Baroque bell towers. 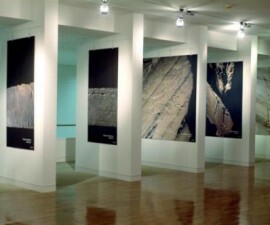 Within, the early sections feature the delightful glazed pottery tiles, or “azulejos”, that are so unique to Portuguese culture. These glazed tiles are brightly painted, primarily in blues (hence their name, taken from the Portuguese “azul” meaning “blue”) although later years saw the introduction of other colours to enhance the attractive floral and woven patterns. It was enlarged over the following years and remodelled in Manueline style early in the 16th century, with sweeping Gothic arches added by the Basques, resulting in the eclectic mix of styles that defines this important monument. 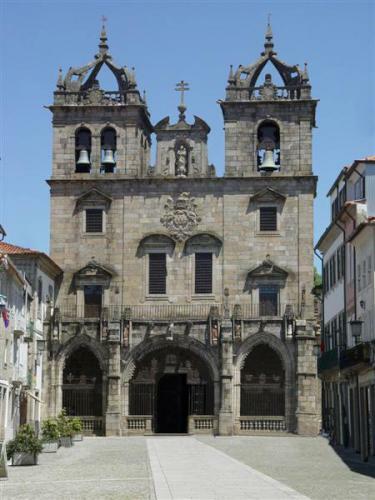 Perhaps the most striking feature of the Cathedral of Braga is the west porch, where three bays of vaulted ceilings, an ornate iron grille and a figure of Our Lady of the Milk (Nossa Senhora do Leite) can be found presiding over matters. 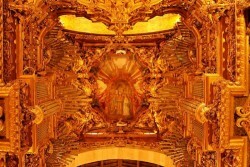 It is thought that the sculpture was made by the renowned French sculptor, Nicolas de Chanterene. 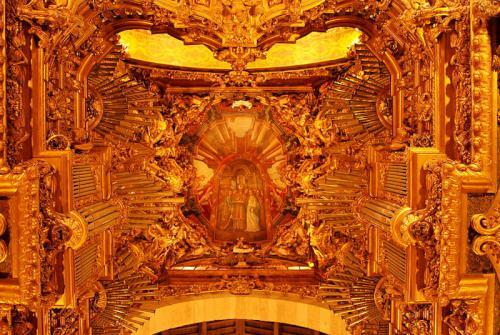 The ornate choir stalls, which date back to the 15th century, merit a look in their own right for the quality of workmanship and their extraordinary longevity, dating back over 600 years as they do. A figure of the Virgin Mary and several other ornate sculptures add to the interesting mix of creative works and historical styles. This large Braga cathedral houses several specific areas of interest for visitors. Head to the north exit of the nave, where you will find the small but well-stocked Museum of Religious Art. The cloister offers access to three chapels, which sit adjacent to the cathedral. The first of these, the Capela dos Reis, is built directly onto the nave and is home to the Tombs of Henry and Teresa, as well as the mummified body of Archbishop Lourenço Vicente Coutinho, one of Portugal’s leading 14th-century religious protagonists. 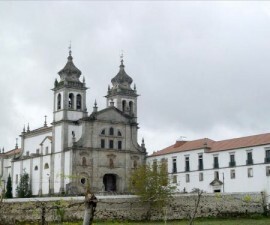 Next comes the Capela de São Geraldo, which is home to some interesting ceramic works (azulejos), showing scenes from the life of St Gerald, Braga’s first Archbishop who lived from 1096 to 1108. 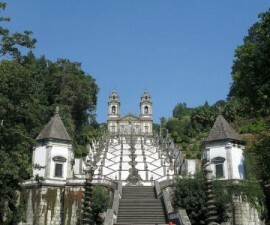 The Capela da Gloria is home to more azulejos, as well as the tomb of Archbishop Gonçalo Pereira, who commanded the Minho forces against the Moroccans in the battle of Rio Salado. 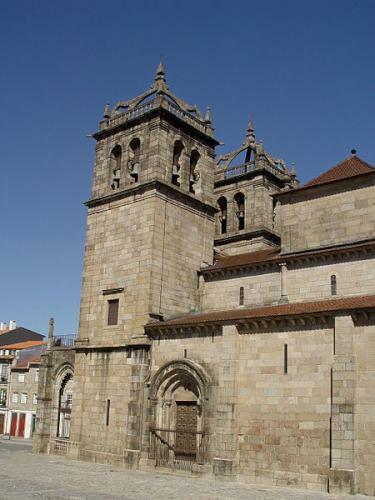 The Cathedral of Braga is found at Rua Dom Paio Mendes 10, Rossio da Sé, and is open from 8.30am to 6.30pm. For more information call +351 253 263 317.